Calling all musicians, artists, and visionaries. This unit is one of the most unique and versatile live work loft spaces in Vancouver! Da Vinci is one of Mt. Pleasant's best loft buildings and is known for attracting all kinds of artistic residents. 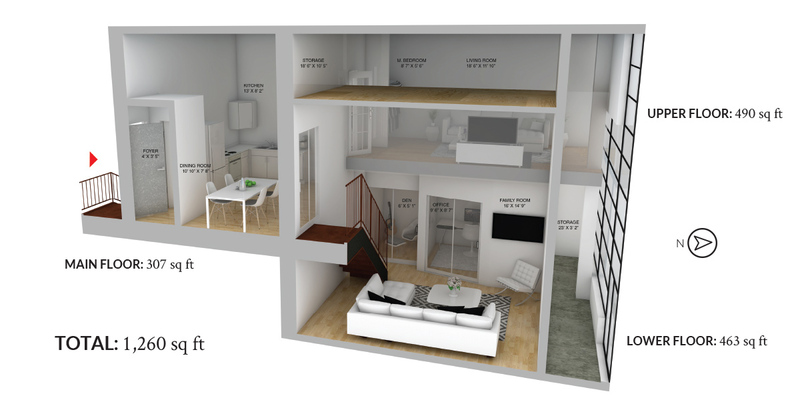 This unit is currently configured as a recording studio and live in loft but with a little vision and creative will you can imagine the endless possibilities for this space. The over height 21' ceilings and the 23' wide bank of windows will let in plenty of natural light to leave you feeling inspired. IC3 zoning allows for light industrial, live arts and theatre, as well as residential uses.